Buy Cosmic Coterie a Coffee. ko-fi.com/cosmiccoterie - Ko-fi ❤️ Where creators get paid by fans, with a 'Buy Me a Coffee' button. We're a team of experienced seamstresses and cosplayers that met through our love of Sailor Moon. We work together to create costumes from series we love, with a special focus on giving back to the cosplay community. Check out our tutorials and patterns to make your own lovely costumes, and read our blog for detailed costume write-ups! Welcome to the Cosmic Coterie Ko-fi Page! If you enjoy our content, please consider supporting us. Secured Payments. 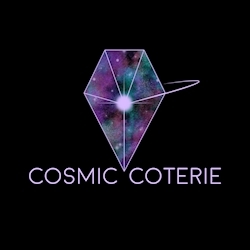 Support goes to Cosmic Coterie's account. Keep our content available to everyone by helping us pay our web hosting fee! This is the cost of hosting our website on WordPress for one year. Upgrade Cosmic Coterie to a yearly Gold Membership with a one-time payment.